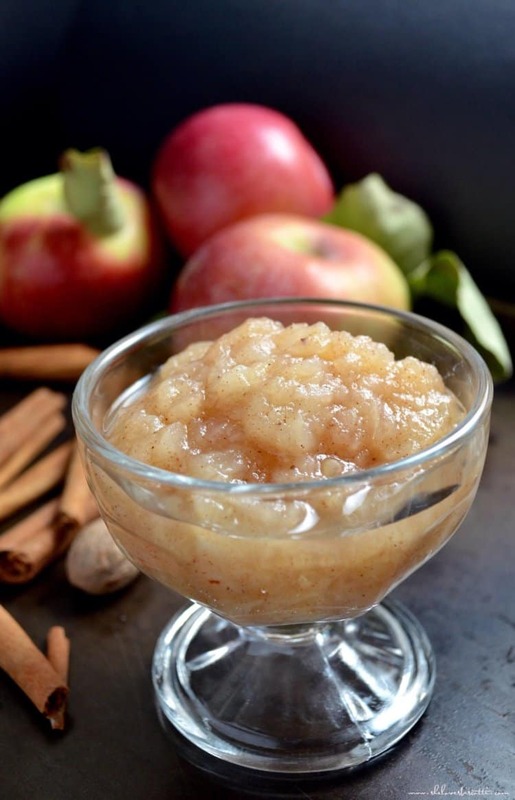 Easy Homemade Chunky Applesauce… my obsession with apples continues! Choose apples which are naturally sweet and you’ll wonder why you’ve waited so long to make this recipe. VIDEO INCLUDED. Did you know there are about seven thousand different varieties of apples, each one with its own color, flavor, and texture? That’s why certain apples are great for baking, and others are better for eating fresh. And some apples are especially good for making applesauce! 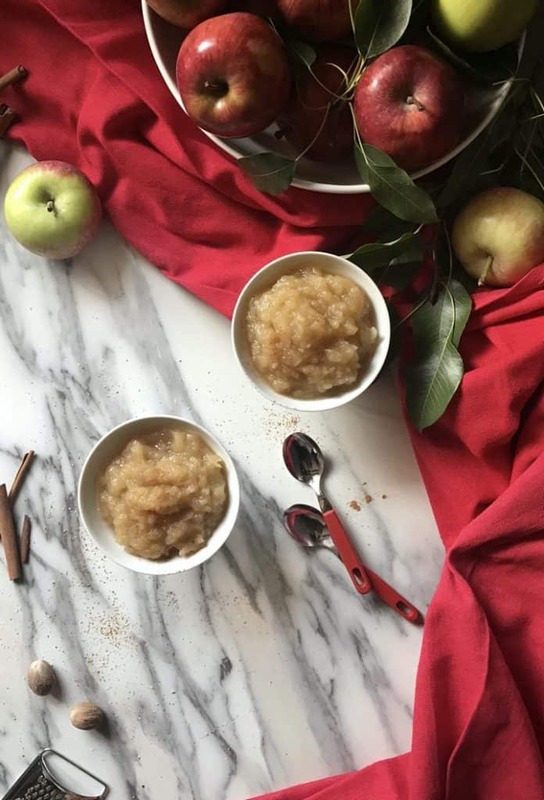 What are the best apples varieties for making applesauce? Since these apples are naturally sweet, there is no need to add extra sugar. Nutrition Tip: Did you know that you can replace up to half of the fat in baked goods (such as muffins, quick breads, cookies and simple cakes) with applesauce? It’s an easy way to reduce your total fat intake while increasing your fiber intake. As you know, getting enough fiber can help reduce the risk of certain diseases, and is also great for your digestive system. As far as add-ins are concerned, there are the usual spices that go well with apples; cinnamon, nutmeg, cloves, and ginger, to name but a few. You can also combine your apples with other fruits such as pears, strawberries and cranberries to give your final product a more festive look. As far as adding sugar is concerned, it really isn’t necessary. Just make sure you are using sweet apples. You will also notice that some recipes have you add apple juice to the applesauce – once again, something I don’t think is necessary, as the apple are sweet and tasty enough on their own (I add water instead). But, as always, these are my own preferences – you should feel free to play around with the recipe until your applesauce is just how you like it! This Homemade Chunky Applesauce is great to use as a topping for your waffles, pancakes, crepes or latkes. It’s also great mixed in with oatmeal, and with more savory dishes, too, like roast meats. You can easily make a big batch of this Homemade Chunky Applesauce. Just place your applesauce in sterilized jars, and process them in a water bath. For more details, you can follow this link. This is one of those recipes which isn’t really a recipe, if you know what I mean. When I was growing up, my mom would alternate between making this easy homemade chunky applesauce and (equally delicious) baked apples. It was my favorite after school snack, especially in the fall. You won’t believe how easy it is to make your very own Homemade Chunky Applesauce. I guarantee you’ll never buy commercial again. ★★★★★ If you have made this chunky applesauce recipe, I would love to hear about it in the comments below and be sure to rate the recipe! You won't believe how easy it is to make your very own Homemade Chunky Applesauce -with NO ADDED SUGAR. I guarantee you'll never buy commercial again! In a medium saucepan, combine apples and water. (There should be just enough water to cover the bottom of your pan). Reduce heat to medium low and simmer for approximately 10 minutes. Make sure that there is always a thin layer of water. Add cinnamon and nutmeg and continue to cook for another 10 minutes or so. Once the mixture has softened, you can mash the mixture with a fork or a potato masher, until your desired consistency is achieved. Alternatively, you can use an immersion blender for a smoother consistency. Applesauce can be kept refrigerated for a couple of days. 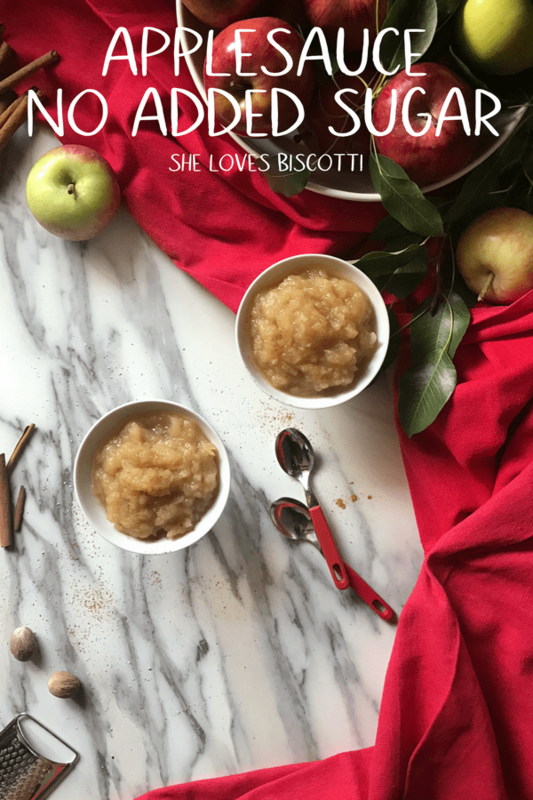 IF YOU ENJOYED THIS HOMEMADE APPLESAUCE POST, SAVE IT FOR LATER. PIN IT TO YOUR HEALTHY SNACK BOARD! I added a splash of vanilla..excellent and easy recipe! Love it!! Can this applesauce be made using some apple skins with the chunked up apple? This recipe is fantastic and so easy!! I quadrupled it and used allspice instead of nutmeg (I was out). This is a keeper, for sure! Many thanks!! I made this today for my family. It was delicious, perfectly sweet and certainly a simple recipe. I will not be buying store bought applesauce ever again. What type of apples do you recommend? Hi Maria…this applesauce looks really good! I am hoping to make a large amount of applesauce and can it using a water bath. Do I need to add lemon juice to the applesauce? I’ve seen some recipes calling for it. Is it possible to freeze some of this? This is so easy !!! My mom told me just this recipe but she adds sugar and no nutmeg . Making this today with my son. We have so many apples from our apple-picking outings (yes, there were 2) this will be perfect to use them. My mom used to make baked apples all the time. 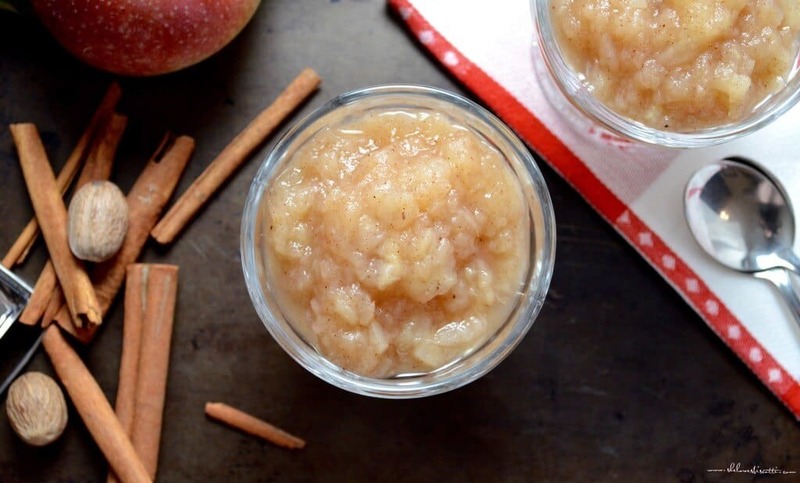 I’m making this applesauce for tomorrow morning. I’m sure that it will be delicious!